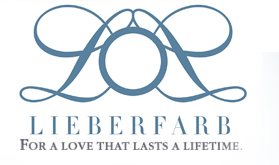 Lieberfarb - USA Made Wedding and Engagement Rings since the early 1900s. By supporting American workers and manufacturing in its New Jersey factory, Lieberfarb can proudly say that "Quality and Service" are the hallmark of its brand. Focused on the future and firmly rooted in its heritage, the Schonwetter family would like to welcome you to the legacy of Lieberfarb.